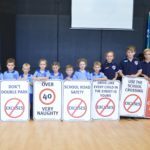 Posted in Community, Council, Roads and transport and tagged school road safety, schools. Posted in Community, Events and tagged chaplaincy, fundraising, schools. Posted in Community and tagged safety, schools.